Of our four Societal (EEPS) trends and progress areas, sociocultural foresight seems particularly challenging, as it is so subjective and abstract, yet also particularly important to evaluate. We’ll will leave formal Environmental, Economic, and Political foresight overviews for another edition of the Guide. We’ve already covered these topics in general terms in other sections, but we haven’t yet drilled much into society and culture. So let’s do so now. Culture is the unique mental and institutional values, goals, rules and norms that we learn as a member of a particular group, or must navigate and work with if we are an “outside” member of that group. Cultures are built by our unique past histories, the unique aspects of our past and current environments, and our unique ethnic and genetic makeups (though we humans are far more genetically similar than we are unique, and grow more similar with every generation). Our unique histories are reflected in the kinds of values we are attracted to, the models and expectations we hold, the institutions we build, and the norms, rules, laws, and political and economic systems we operate within. Social psychologist and cultural research pioneer Geert Hofstede calls culture the “collective programming of the mind” that distinguishes different groups of individuals from each other. 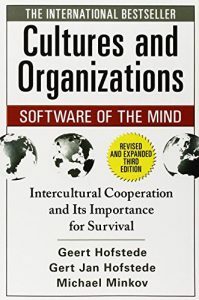 Hofstede et al’s Cultures and Organizations: Software of the Mind, 3rd Ed (2010) is the go-to academic work on culture, and its impact on organizations. It summarizes forty years of survey data from over seventy nations. Co-Author Michael Minkov also integrated data from the World Values Survey, the other longest-running global research work on culture, into Professor Hofstede’s model. 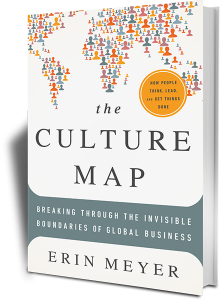 Scholar Erin Meyer’s The Culture Map (2014) offers another excellent and even more accessible overview of the many subtle differences between ethnic, national, and organizational cultures. Both of these books are required reading for any emerging foresight professional seeking to understand how different groups have different views, values, and norms, and how those differences can impede or aid commerce and other forms of collaboration. Our ways of perceiving, and the emotional and cognitive rules we operate within, largely determine how we will behave. Understanding them, therefore, offers us great predictive value. Our social rulesets can be either conscious or unconscious, explicit or implicit. Culture, and the norms that result from culture, can be considered the more implicit and unconscious version of our social rulesets. We are also influenced by all our conscious and explicit rules, laws, and policies. Those are much easier to change, but they tend to be a lot less powerful at the same time. As we can see above, two of the Big Six, Conscientiousness and Extraversion, are not found in Hofstede’s model, though it’s obvious that not only individuals, but entire cultures vary on these important traits. Norwegians, for example, are clearly less Extraverted than Americans, and more Conscientious than Italians. Likewise, Hofstede identifies two important social traits, Inequality-Hierarchy Acceptance and Indulgence-Gratification Drive, that haven’t been given their due by Big Five personality researchers. So again it seems obvious, to me at least, that these two classic models must eventually converge, offering us least an Eight Factor Model of both personality and culture. Culture is a very big deal, and it can either impede or accelerate change. As Fareed Zakaria observes in his prescient book, The Future of Freedom, there are liberal and illiberal democracies available to us, and cultures that are new to democracy for the first time may need a much less liberal democracy for their first step away from autocracy. They aren’t ready for too much freedom, because their culture needs time to change. If you give them too much freedom, or create too much chaos too quickly, they will run back to the strongman (or woman), a depressingly common phenomenon in the history of Africa and Southeast Asia in recent generations. Before a culture is ready for liberal democracy, social norms around the proper use of their new freedoms, their civic responsibilities, and their ability to self-determine even in chaotic environments need to be come internalized, and unconscious. All of that takes time. Futurist Thomas Barnett talks a lot about societal rulesets in his prescient defense foresight and policy book, The Pentagon’s New Map: War and Peace in the Twenty-First Century (2005). He notes that our explicit rules, laws, and policies are an easy place to begin culture change. Over time, cultures can slowly change in a positive direction as our explicit rules and institutions improve. Barnett argues that with the right explicit rulesets, cultures that are socially, economically, and technologically connected with the West will see, every year and every month, that interconnectedness a vastly better strategy, producing more positive social goods, than disconnection. Over time, the “gap” countries that are disconnected in one of these three ways will be absorbed into the “core” of connected countries, and all the core cultures will increasingly share fundamental norms and values. It’s an excellent hypothesis, and I agree with it entirely, but finding the right rulesets, for each culture and context, is of course a major challenge. Changing cultures is also a very big deal. If acculturation between two different groups is done too quickly, too broadly, or too nonpermissively, the people who are forced to change the most often consider their experience a kind of cultural warfare, or if the battle is over too quickly, an outright theft of their heritage. Consider the impact of most developed nations on their indigenous peoples. Rarely has this acculturation been viewed positively by both groups. Consider also immigration. The greatest “cultural distance” between major groups of individuals on our planet today is not capitalism vs communism. It’s Western (Christian or Agnostic) vs. Muslim (Fundamentalist or Traditional) values. Even the distance between African tribal behaviors, and some of their more objectionable activities, like female genital mutilation, and Western values, is arguably less great, as African norms tend to be more fluid in the light of new information or opportunity. Islam is both a culture and a religion with a high degree of internal cohesion, and thus is particularly slow to change. Western democracies that have immigrated too quickly from other cultures, as with Muslim immigrants in France in recent years, have seen many negative social consequences. Over time, acculturation eventually happens, but in the short run, disaffection, unemployment, isolation, violence, and many other forms of social disruption can occur, because we don’t pay enough attention to cultural factors. It often isn’t considered politically correct to talk too much about culture, but that “culture blindness” also ensures that bad policies will result. Honesty and openly talking about everyone’s current cultural preferences, and trying to truly understand cultures different from ours, whether we like them or not, is the first step to better strategies. We must learn to see culture at all relevant scales. Cultures can be as small as a group of two individuals with shared social norms, or as large as the universe itself. All of Earth’s intelligent species share a particular culture. Our general culture is quite cooperative, once we get out of scarcity. Part of the reason why we humans are so strongly selected to be cooperative surely because our particular planet’s geochemistry and ecosystem are incredibly, even unreasonably hospitable to life. This concept is called the Gaia hypothesis, and it surely has some truth to it, if we are careful to avoid overclaiming. A planet with substantially less resources than ours, or a greater number of past catastrophes, would surely have species whose cultures were less cooperative than ours. But on planets as life-friendly as ours has been, there must also be a kind of “baseline culture” of both cooperation and competition that all creatures of our particular universe share, as we discuss under universal values in Chapters 2 (Personal Foresight) and 11 (Evo Devo Foresight). This edition of the Guide will only briefly raise the issue of culture as a key factor in global futures. We’ll say just a bit about cultural differences between the two largest national economies in the world, China and the USA, in the next section. As our global technological interconnectedness has grown, our worldwide digital economy, and leading corporate and city economies, have grown much larger than most individual nations in recent generations, but we’ll leave discussions of the culture of those complex systems for another time. In later editions, we’ll discuss these and other regional and national cultures, as opportunity and interest allow. In the meantime, read one of the books above for more insights into the fascinating world of group differences, and how they effect our past, present, and future.